If you’ve noticed that your teeth look a little longer or your gums seem to be pulling back from your teeth, you have receding gums. Receding gums are a form gum disease in which your gums pull back from the tooth surface, exposing the root surfaces of your teeth. This can be a serious condition as a consequence of poor oral hygiene, which may eventually lead to tooth loss. In a healthy mouth, the gums are pink, and the gum line is consistent around all the teeth. If gum recession develops, the gums often look inflamed. The gum line also looks lower around some teeth than around others. Gum tissue wears away, leaving more of a tooth exposed. Gum recession can happen slowly, so it’s important to take a good look at your gums and teeth every day. If you notice receding gums and you haven’t been to the dentist in a while, make an appointment soon. Gum recession is a common problem in adults over the age of 35, but it may also occur in younger adults. Poor oral hygiene, medical conditions such as diabetes, teeth grinding while sleeping, smoking, ill-fitting dentures, or trauma to the mouth such as piercing of a lip or tongue, or even brushing your teeth too hard can cause gums to recede. Gum recession tends to happen gradually over a period of time. Class I – Mild gum recession. There is no bone loss or loss of tissue between the teeth. Class II – Gum recession extends toward the border of attached and loose gingiva. There is no bone loss or loss of tissue between the teeth. Class III – Gum recession extends past the border of attached and loose gingiva. Bone loss or loss of tissue between the teeth is evident. The root is partially covered. Class IV – Severe gum recession that is associated with gross loss of bone. There is no root coverage. 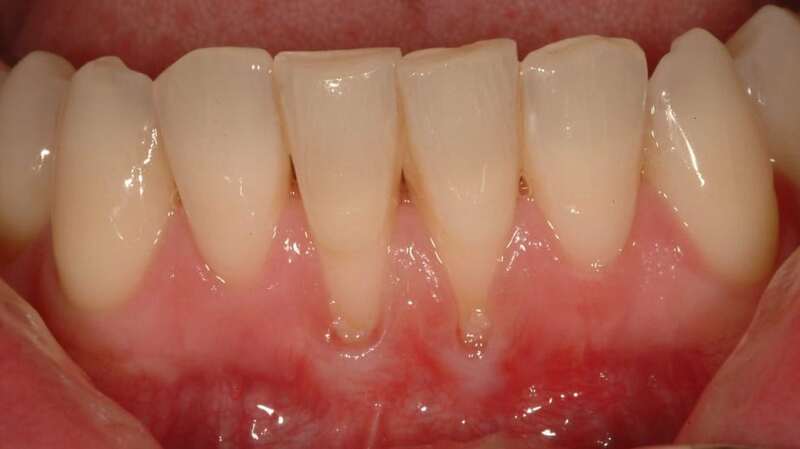 Gingival recession can’t be reversed. Once the gum tissue has pulled back and away from the teeth, it can’t re-grow on its own. However, treatments can keep the problem from getting worse. For a mild recession, deep cleaning the affected area can alleviate the problem and stop it from progressing. Deep cleaning or tooth scaling and root planning may also be required to remove the plaque and tartar build up on the teeth and the gum line. In more serious cases, a surgical procedure may be required such as gum tissue grafting, pocket reduction surgery or bone regeneration. Gum grafting is a surgical procedure that usually involves taking tissue from one area, such as the roof of the mouth, then transferring it to the receded site. 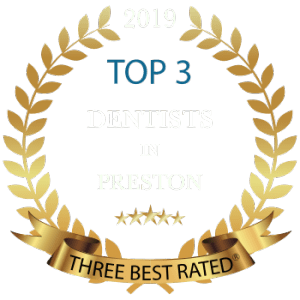 If you would like to know more about our treatments for gum recession, please do not hesitate to contact our cosmetic dentists on 01772 - 726932 We welcome all enquiries!